Editor’s Note: This article originally appeared in U.S. Long Cuts. We are merging U.S. Long Cuts with Midwest Wanderer, adding a “Beyond the Midwest” menu option. 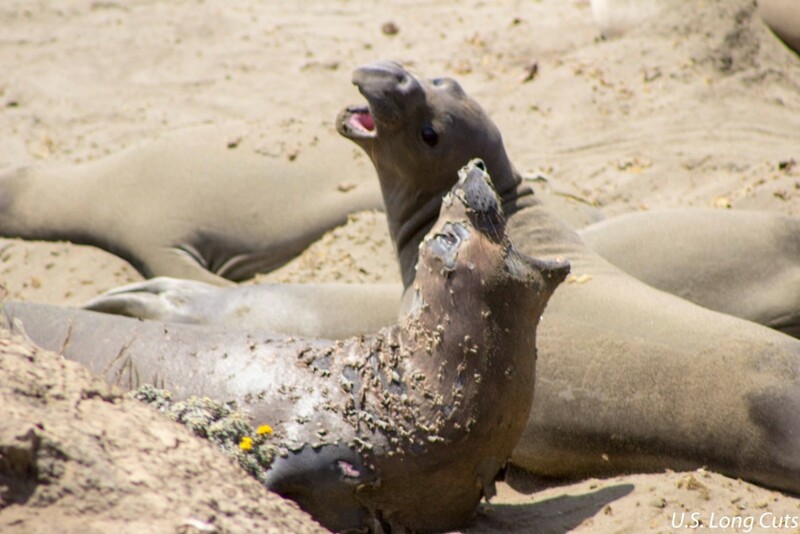 Elephant seals come to shore to breed, give birth and molt. Adult males begin coming onshore toward the end of November and into December, followed by females who, over the next couple of months, give birth to the pups they carried for the past seven months. They nurse the pups for about four weeks. This is mating season, too, peaking around mid-February. After mating season and once the pups are weaned, the adults go back into the ocean, leaving the pups to learn to swim on their own. 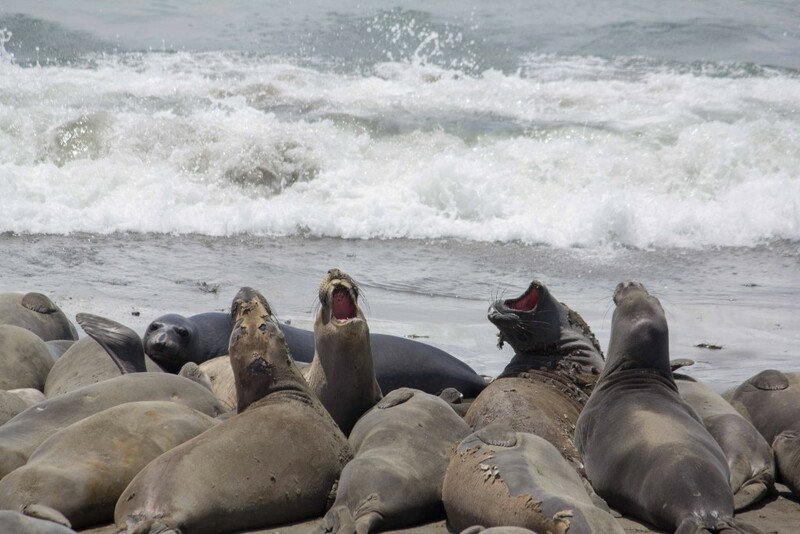 April through August elephant seals come back onshore to molt, starting with the females, followed by subadult (2-3 year old) males, and then adult males, each staying about a month. There are two exceptions to the one-month beach period. Pups hang around for a little over three months after they’re born, nursing and then learning to swim. Adult males also stay around for over three months, during the entire birthing and breeding period. 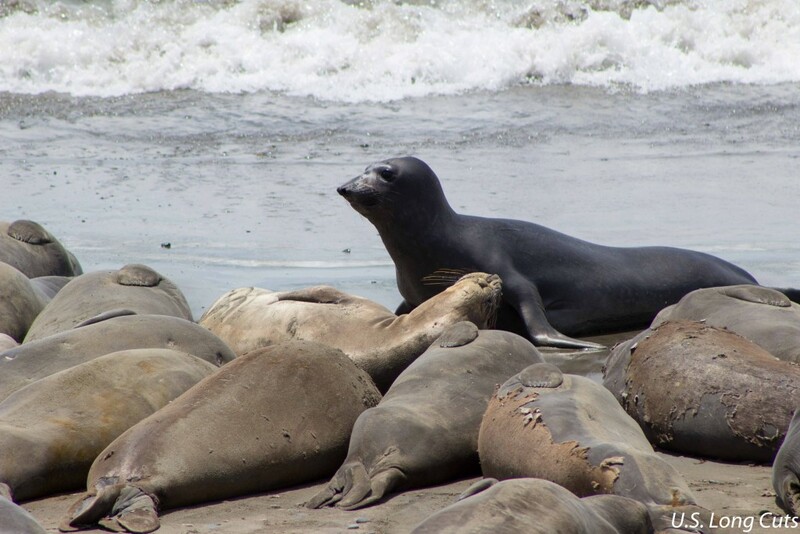 You can find a complete calendar on the Friends of the Elephant Seal web site, but whenever you visit, you’re bound to see elephant seals at the rookery. 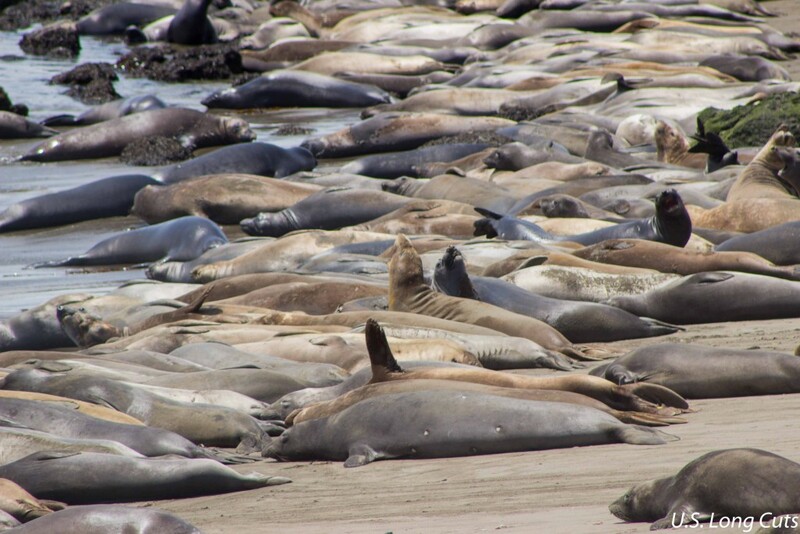 The seal rookery at Piedras Blancas is located on California Highway 1, about six miles north of San Simeon. 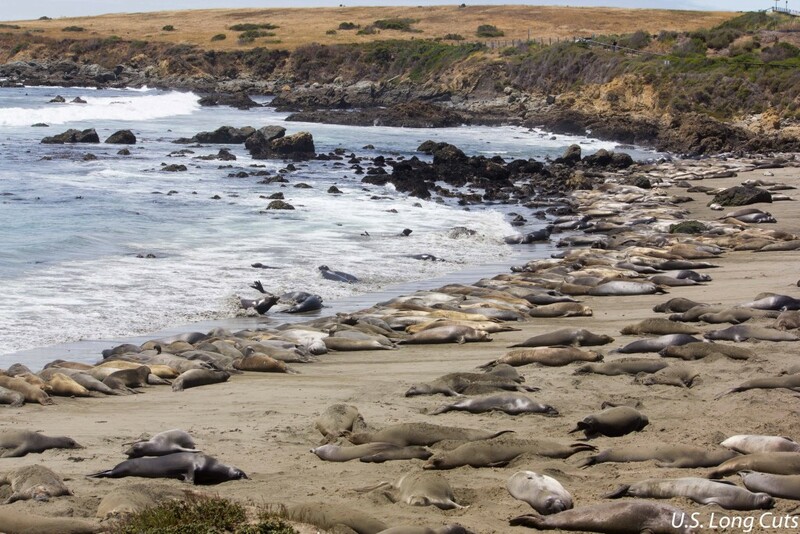 Accommodations in San Simeon: Find the best deal, compare prices, and read what other travelers have to say at TripAdvisor. hank you for reading Midwest Wanderer. Don’t miss a post. Enter your e-mail address below and click Subscribe to be notified whenever I publish another post. Subscription is FREE. After subscribing, be sure to click the link when you get the e-mail asking you to confirm. I love your site, Connie & Skip!! Happy trails to you, on your upcoming adventure :-)!